Posted by Nick Verreos Labels: Christian Dior, Christian Dior Haute Couture Fall 2014, Eileen Ford, Ford Models, Ford Supermodel of The World, Friday Favorites, Giorgio Armani, Jennifer Lopez, Laverne Cox, Who Wore What? Christian Dior Haute Couture Fall 2014: Belgium designer and Creative Director for Dior started his latest Christian Dior Haute Fall 2014 collection with some GA-GA-GORGEOUS gowns, all featuring a "Marie Antoinette"-edge to them with drop very fitted waists and full-poufed ball-skirts. There was the obvious historical nod but still very modern--and totally red carpet-worthy. Chanel Haute Couture Fall 2014: Ashleigh Good was a 7-month pregnant bride in the Chanel Haute Couture Fall 2014 Finale! I loved her Infanta-like gown. Simply sublime and very old-school Cristobal Balenciaga. Elie Saab Haute Couture 2014: Elie Saab's STUNNING collection was worth many, many, MANY MILLIONS of dollars, and it looked it! I am in AWE at what his Atelier of petite mains are capable of in terms of all those hand-sewn crystals and sequins; it's INCREDIBLE and also makes my head (and hands) hurt just thinking about it. Each dress can cost in the 300,000 Euro range and well, I can understand why. 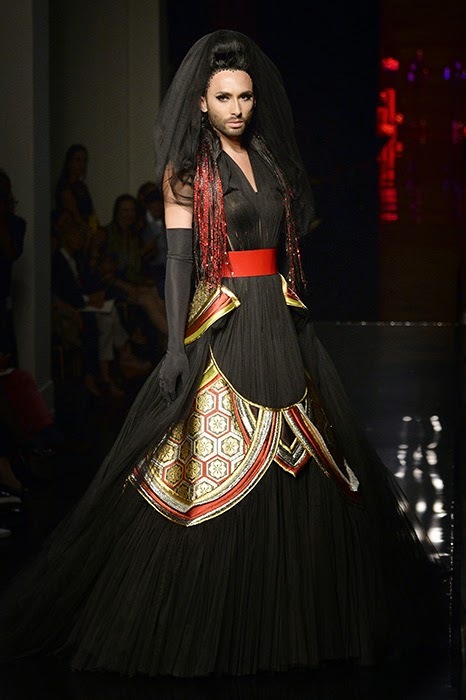 And of course, another Highlight of Paris Haute Couture Fashion Week was the Catwalk Appearance of Eurovision Contest Winner Conchita Wurst at the Finale of Jean Paul Gaultier Haute Couture Fall 2014. Conchita was ALL THINGS FABULOUS. And to watch JPG bow down to Miss Wurst, was EVERYTHING. Laverne Cox star of "Orange is the New Black"
3. Giorgio Armani's 80th Birthday! Wow! I hope I'm as happy designing at 80 years of age as he looks to be! 4. Best Dressed of the Week: Jennifer Lopez in Atelier Versace. I know this will be a controversial choice, but...if anyone can work a one-pant leg Versace Couture ensemble it is Miss JLo! She is a Versace-Girl through and through. Work It Mija! 5. 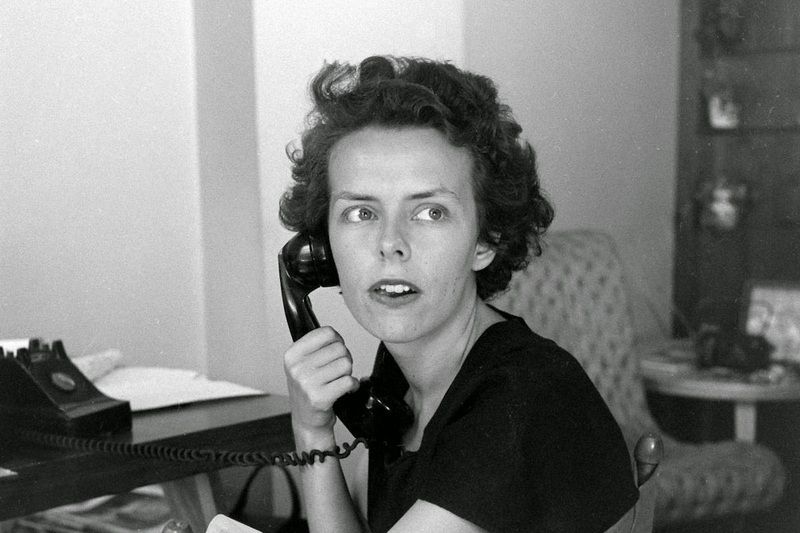 The Life and Legacy of Eileen Ford: Eileen Ford died this week at the age of 92. 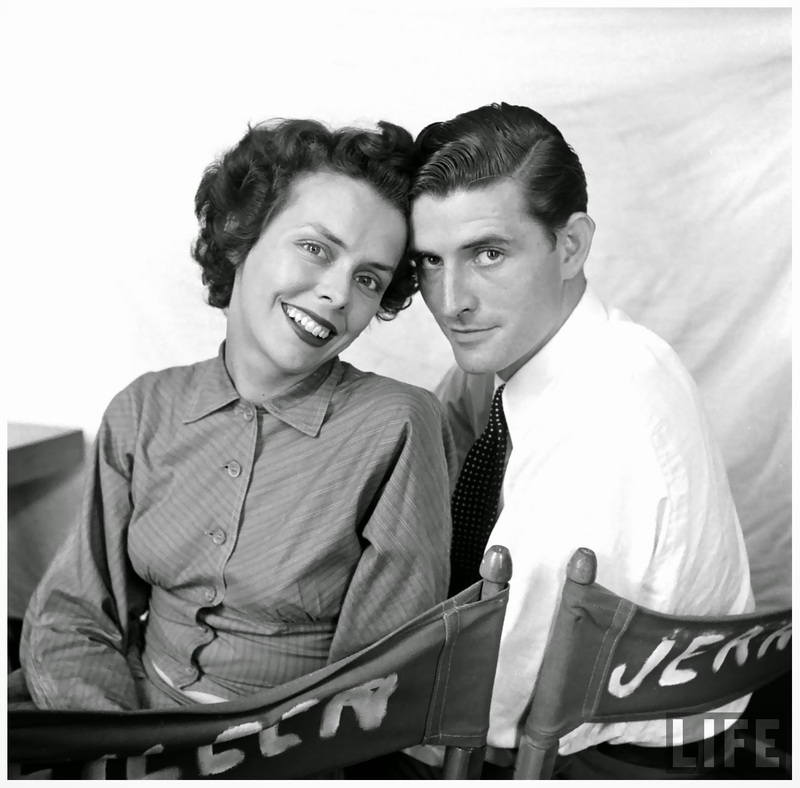 She founded Ford Modeling Agency with her husband Gerald "Jerry" Ford in the 1940's. She is known for launching the careers of many Supermodels and Actresses, including Supermodels Christy Turlington, Lauren Hutton, Jerry Hall, Naomi Campbell, Lauren Hutton, Christie Brinkley, Janice Dickinson and many, many more! 0 Response to "WHO WORE WHAT?.....Haute Couture, Conchita Wurst, Eileen Ford Tribute, Laverne Cox, JLo"